Enjoy the best inspirational, motivational, positive, funny and famous quotes by Andrew Linzey. Use words and picture quotations to push forward and inspire you keep going in life! Animals are God's creatures, not human property, nor utilities, nor resources, nor commodities, but precious beings in God's sight. ...Christians whose eyes are fixed on the awfulness of crucifixion are in a special position to understand the awfulness of innocent suffering. 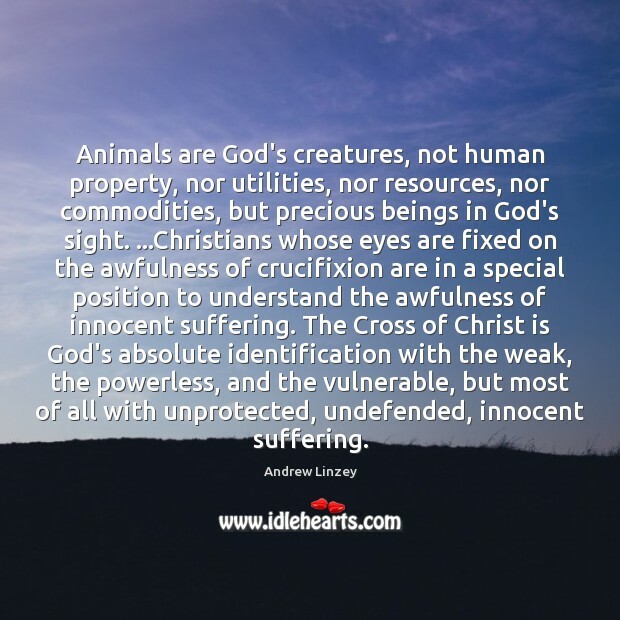 The Cross of Christ is God's absolute identification with the weak, the powerless, and the vulnerable, but most of all with unprotected, undefended, innocent suffering. 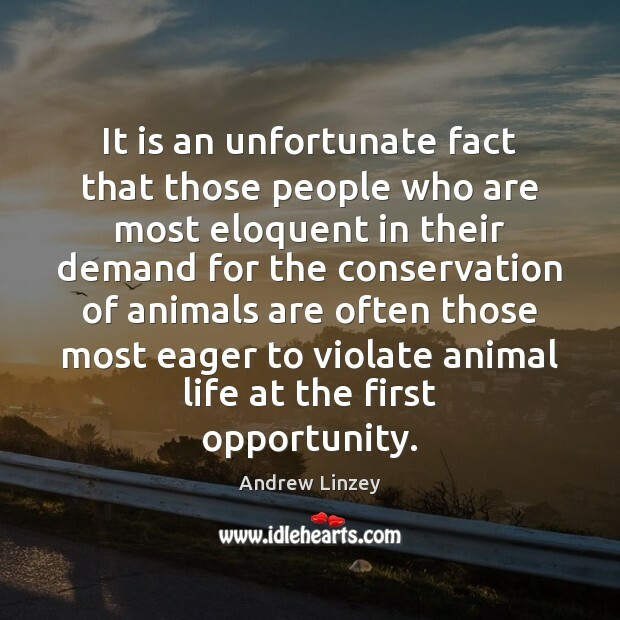 It is an unfortunate fact that those people who are most eloquent in their demand for the conservation of animals are often those most eager to violate animal life at the first opportunity. In God's eyes, all creatures have value whether we find them cuddly, affectionate, beautiful or otherwise. Our own perspective-in a way-is neither here nor there. 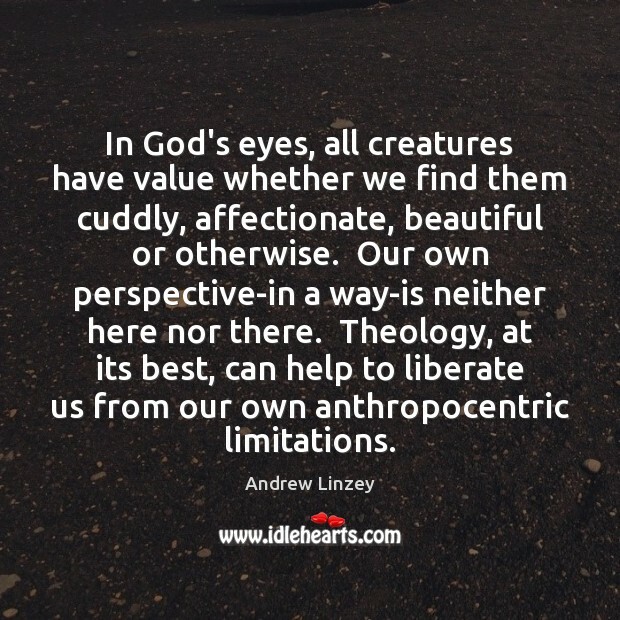 Theology, at its best, can help to liberate us from our own anthropocentric limitations. 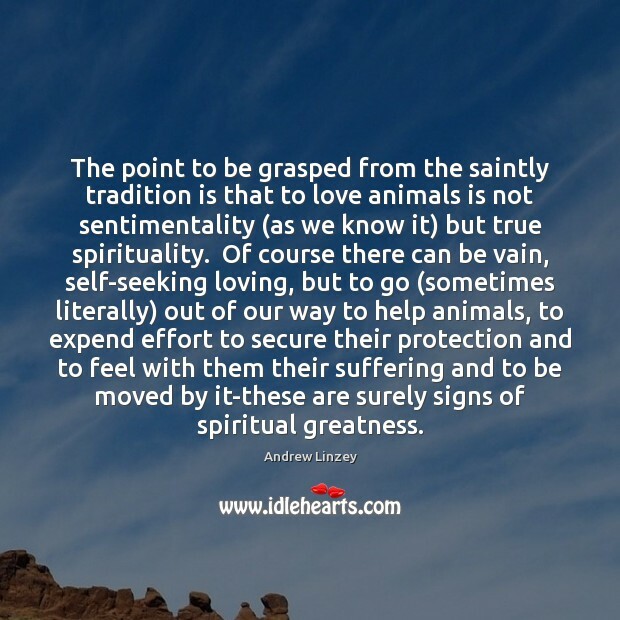 The point to be grasped from the saintly tradition is that to love animals is not sentimentality (as we know it) but true spirituality. Of course there can be vain, self-seeking loving, but to go (sometimes literally) out of our way to help animals, to expend effort to secure their protection and to feel with them their suffering and to be moved by it-these are surely signs of spiritual greatness. 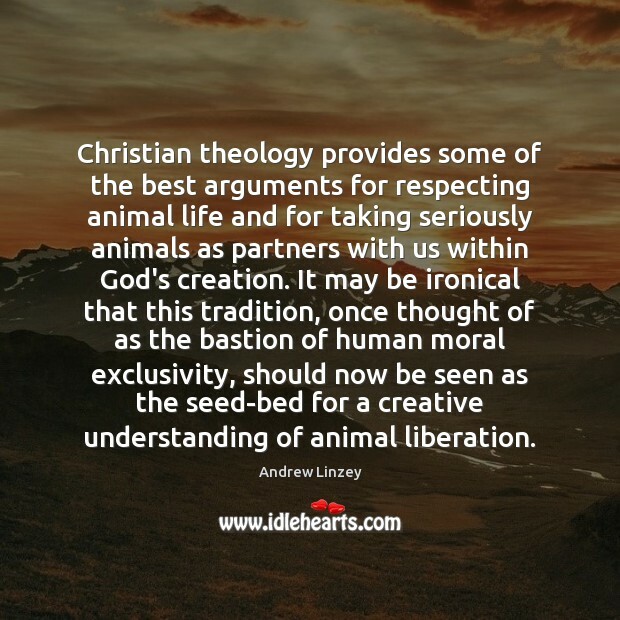 Christian theology provides some of the best arguments for respecting animal life and for taking seriously animals as partners with us within God's creation. It may be ironical that this tradition, once thought of as the bastion of human moral exclusivity, should now be seen as the seed-bed for a creative understanding of animal liberation. Despite one or two minority appeals our society is not outraged at man's unremitting use of the animal world. 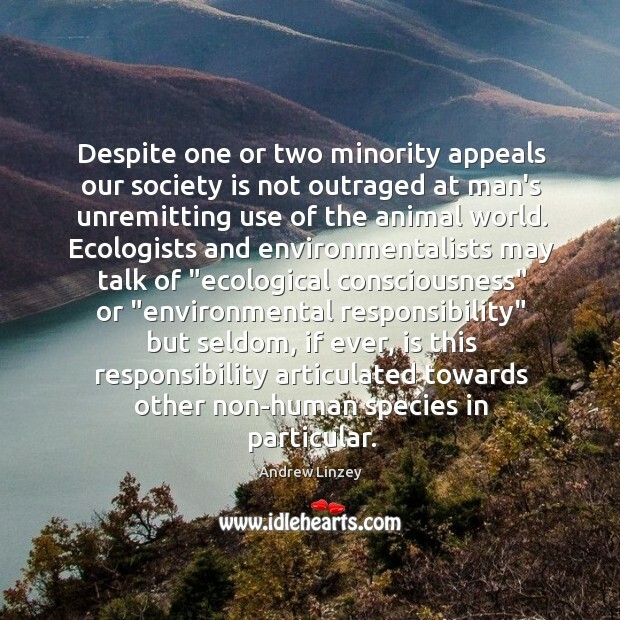 Ecologists and environmentalists may talk of "ecological consciousness" or "environmental responsibility" but seldom, if ever, is this responsibility articulated towards other non-human species in particular.